There is more sad news this Friday morning. 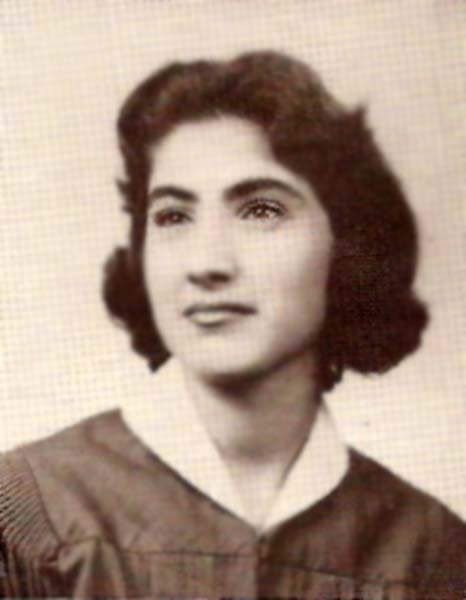 Mike Anastasiou, Class of February 1951, brother of Tessie Anastasiou Deffigos (@ '50) and Mary Anastasiou Kounalakis ('55), passed away in Newport News on Tuesday, August 30, 2016 at the age of 84. NEWPORT NEWS - On the morning of Tuesday, 30 August, 2016, Michael "Mike" George Anastasiou was accepted into the loving Graces of His Savior. Born a first-generation American in New York City, 25 May, 1932, to Cypriot emigrants George Anastasiou and Stella Ambizas, Mike exemplified all that is the American Dream: a man of truth, candor, integrity, and generosity. His love for life touched many, and his gift for restoring life through his faith was immense. From New York City in the early 40's, the Anastasiou family arrived in Newport News and have since had its roots. A graduate of Newport News High School (Feb 1951), Mike excelled in both the written and spoken word. Aside from the top honors Virginia Press Association for work on the high school newspaper, the Beacon, Mike also was a standing member of the WGH Typhoon Time Saturday morning radio program. Shortly after graduation, Mike enlisted in the United States Army, serving as a rifleman in the 101st Airborne. True to his unyielding drive and courage, when asked to volunteer for a "job," Mike (thinking, "this is it") stepped up. His volunteering resulted in his deployment to occupied Germany while the others in the unit made their way to Korea. Upon his return to the United States, Mike attended the University of Virginia, with an emphasis in History. His passion for history has been life-long, and one in which anyone could easily discern from both his knowledge of Scripture and of world events. On 29 September 1963, Mike and Constance Ann (Connie) Nichols wed. A devoted husband, blessed with 53 years of marriage, he provided a loving home in raising a family whose three daughters, Michelle, Andreanna, and Mary Stella could not have had a better man as their father. His career in the insurance industry with United of America spanned 37 years taking him throughout Hampton from which many a story would emanate. In addition to a long and successful career in insurance, his commitment to the community ran deep. His devotion to Saints Constantine and Helen Greek Orthodox Church was a constant, where he served his church in numerous leadership roles: Sunday School Director, Parish Council President (1994 and 1995), Parish Council Vice President, Parish Council Treasurer, Church Building Committee member, and the docent for Greek Festival goers interested in learning about the church. Mike was a trusted member to all who knew him for his meaningful insight in the Orthodox faith. And for over 40 years, many a Sunday school class would be led by him sharing Old and New Testament scripture to high-school aged members of the church. A continued expression of Mike's love and generosity, reached beyond that of the Greek Community. Mike possessed a natural gift for communicating with people, and with that a genuine interest and compassion for those in need. He found a passion in prison ministry and outreach. He enjoyed mentoring GED candidates in Hampton, as well as supporting Youth Challenge, an organization of outreach for troubled youth in the area. At 77 years old, Mike embarked on a journey to Bilox/Gulfport, Mississippi, camping in a church for two weeks to help in the relief efforts post-Katrina. He, along with several other Bible Study members, helped rebuild, repair, and heal those hit the hardest. His "volunteerism" was not solely relegated to his Army days; he devoted hours on end to Southeastern Correctional Ministry, visiting inmates in local jail and detention homes with a focus on sharing Scripture on their journey to healing their souls. He has also been an avid supporter of KAIROS Prison Ministry, driving out to Nottoway Correctional Facility and spending days inside the facility with the inmates. He has even taken this love of ministry outside of the United States, once to County Cork, Ireland, for which Mike received an award from the Old Point Kiwanis, and another to Brazil, visiting a prison and speaking at high school and middle school drug centers. In 2009, Mike was recognized for his community involvement with the Humanitarian Award presented by the Virginia Center for Inclusive Communities. To say Mike was generous, loving, and giving is not even to scratch the surface of who he is to us: a Husband, a Father, a Brother, a Godfather, and Uncle, and a Friend, who will forever be in our hearts. 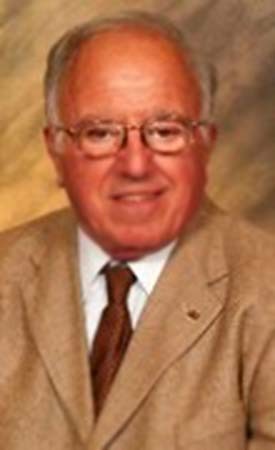 He is survived by his wife, Constance Nichols Anastasiou; his daughters, Michelle Anastasiou Groeschner(LCDR Scott Groeschner deceased), Andreanna Anastasiou (Billy Lambrinides), and Mary Stella Magnuson (Nathan); as well as his older sister, Tessie Deffigos (John), and younger sister Mary Kounalakis (Michael); and many nieces and nephews. A Trisagion Service and visitation will be held Monday, 5 September 2016, at 7:00 PM at Saints Constantine and Helen Greek Orthodox Church, 60 Traverse Road, Newport News. A funeral service will be held Tuesday, 6 September 2016, at 11:00 AM at the church. Interment will follow at Peninsula Memorial Park. In lieu of flowers, donations may be made to the following programs for which Mike forever remained passionate about: KAIROS Prison Ministry of Virginia, 4615 Ferncliff Drive, Lynchburg, VA 24502 or Youth Challenge of Hampton Roads, 332 34th Street, Newport News, VA 23607. Arrangements by W. J. Smith & Son Funeral Home. View and post condolences on our online guestbook at dailypress.com/guestbooks. Published in the Daily Press on September 2, 2016. Mike was a gentleman and a good father. I feel blessed that I was able to know him. My prayers and thoughts to you all. What I will miss most about Brother Mike is his willingness and devotion to stand for what he believed in. He was my mentor and good friend that will be truly missed. My condolences and love to Connie and the family. Phoebe and I are very sorry to hear of your husband's passing. He was very friendly to us, and also he had a lot to offer our youth; a very strong and nice man for our community. Our deepest sympathies and prayers are extended to the Anastasiou family and their many friends. Y'all take good care of each other! TYPHOONS FOREVER! the host of angels and all mankind. and is our God before all ages. and more spacious than the heavens.